Sciblogs | Are science and religion compatible? “Science and Religion” seems to be a popular topic for debate on the internet these days. Even in New Zealand Richard Dawkins‘ recent visit encouraged 14 religious scientists, historians and theologians to produce their own statement on the subject (see ‘Public Statement Concerning Science and Christian Faith’ by New Zealand Religious Scientists). That particular statement seems to be a “sour grapes” response to the public interest in Dawkins’ visit. It has little substance and resorts to straw mannery in its attacks on “Professor Dawkins’ scientism.”(That word “scientism” is a dead give away, isn’t it?) So far, I don’t think it has elicited any response or interest (except from comments on the RichardDawkins.net site which seems to be the only place reporting it). 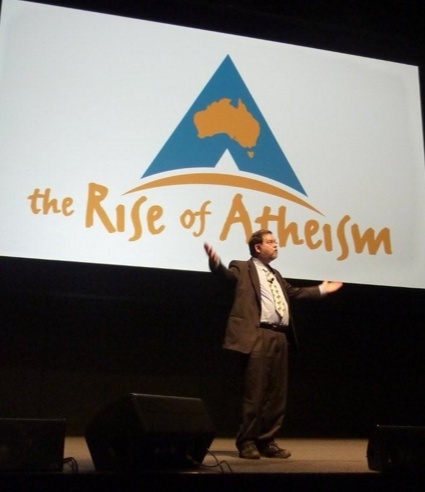 Of far more substance were two presentations made at the Global Atheist Convention in Melbourne last Saturday. 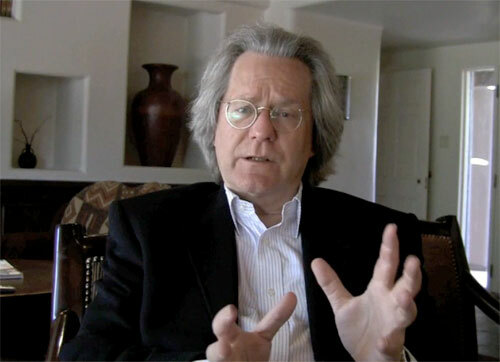 Given by AC Grayling and PZ Myers these covered the science – religion issue in very different but complimentary ways – both in substance and style. They are both extremely informative and entertaining speakers – each in their own way. As for compatibility of science and religion the fact remains that religion has often seen itself in competition with science. One has only to think of Giordano Bruno, who was burned at the stake, and Galileo Galilei, who was imprisoned by the inquisition, over their support for Copernican ideas of the universe. Today the concept of compatibility is being promoted by religious apologists because of the respect this might confer on them. Humanity widely recognises the success of the scientific method in understanding reality and religion tries to bask in that respect by claiming some sort of relationship with science. Grayling agreed that religion can get something out of science, beside the reflected glory. For example, science can investigate the phenomenon of religious experience through study of neural correlates in the brain. But religion cannot offer anything to science. It’s methodology of revelation, claims of ultimate truth and disrespect for evidence is in sharp contrast to that of science. Science does not claim to have all the answers. It’s methods rely on evidence from reality and testing against that reality. And the ideas of science are always amenable to change as new evidence is acquired. Science works to satisfy humanity’s requirement for knowledge, while religion can only respond to humanity’s requirement for stories. I liked Grayling’s reject of a common claim made these days by religious apologists – that science has its origins in religion, specifically Christianity. He compared this to the naive creationist assertion that evolution describes humans as evolving from monkeys. No, science did not evolve from religion. Far from it. Both religion and science (like humans and monkeys) did evolve though from a common ancestor – ignorance. The evolved separately because they took different directions. We can imagine how early in human social evolution we developed methods of trial and error as we learned to use agriculture and to navigate. This apporoach put us on a scientific path. On the other hand we also became preoccupied with taboos, spirits and superstition, often expressed in our early animism. From these religion evolved. Grayling is a quiet but authoritative lecturer. He certainly kept the audience entranced. One Aussie journalist described him as having rock star status. We all expected Myers to be somewhat scandalous, and certainly forthright. He didn’t disappoint but he also proved to be very entertaining, often having us in fits of laughter. But he had a serious message – and it got through to the very appreciative audience. Myers demolished the argument that religion is proven to be compatible with science because some well known scientists are also enthusiastic Christians. Of course people can be scientists and Christians (or Buddhists, or Atheists, etc.). That is an obvious fact about our ability to hold contradictory ideas at the same time – it says nothing about true compatibility. He presented the example of a multiple murderer in the US who was also a devout Christian. Being a Christian and a multiple murderer at the same time is obviously possible – but that says nothing about cause and effect. It would be silly to draw conclusions about the criminality of Christians from such examples. It’s like saying atheists are immoral because Stalin was an atheist, or Christians are immoral because Hitler was a Catholic. Silly. PZ discussed at some length the example of Ken Miller, a well known US evolutionary scientist who is also a devout Catholic. He admires Miller’s scientific work and particularly his educational role in the struggle against creationism/intelligent design. This work is invaluable. However, when Miller attempts to justify his religious beliefs in scientific terms he makes big mistakes. Particularly blatant is the attempt to find a mechanism for his god’s involvement in the world through a mechanism of quantum uncertainty. Myers made clear that he does not feel hostility to religious people. He did not go along with people who claimed that religion makes people evil – far from it. Many religious people are humane, caring people. However, he does feel that religion makes one “stupid.” It interferes with our ability to understand the real world. Science is important because the world is often counter-intuitive. It often does not behave the way our brain would like it to. We have to overcome superstition and bias to0 understand the world as it really is. This understanding is important to humanity – how else are we to solve the problems we currently face? This is obviously an on-going debate. There have been some interesting internet articles on the discussion, particularly on the concept of “accommodationism” and the argument that scientists should not criticise religion. It’s a fascinating debate – but one has to be able to recognise the straw men. Did I mention I attended the Global Atheist Convention? Best international conference I have even been to. Great speakers. Met some of my science heroes. Look forward to videos of the presentations on DVD, if not on-line. Muslims, Buddhists, etc., might point out Grayling’s preference for putting Christianity in this role in part comes from his familiarity with it and a Western-centric view of history? There were also scientists in, say, present-day Uzbekistan (I’m thinking of Ulugh Beg’s observatory, which I’ve visited) and China, for example. Some of these worked in organised centres. Ulugh Beg’s observatory, for example, apparently had several dozen astronomers in it’s heyday (I’ve read up to ~60). Must write about visiting this sometime. Actually, Grant, Grayling doesn’t have this problem. He spoke about pre-Christian ideas and the origin of science in early social evolution. However, Christian apologists are currently heavily promoting the idea that science grew out of Christianity. Without a monotheistic god there could be no science! It is really Christian chauvinism as humanity has a rich heritage of pre-Christian science. Buddhists, Muslims, Indians, Chinese, Egyptians, etc., etc., should all be offended by this silly bit of Christian hubris. Science and religion are compatible. Science provides an avenue to the known (natural) universe. Religion provides an avenue to a parallel, intelligent universe. Come off it djwray. Science is concerned with investigating the unknown – not the known. If there are other universes surely the only way to detect and study them is via the scientific method – not religion. If you define religion as an excuse for social bonding, and a set of shared beliefs and rituals to enhance social bonding (humans love ritual), then religion is just another activity like rock concerts or charitable organizations or glee club. If you define religion as the mystical or supernatural, then the distinction is simple. Science deals with everything that exists, including the origin of existence, and religion covers the remainder. The statement “Disrespect for evidence” is loaded with negative connotations. Faith does require trusting without the possibility of evidence, but that doesn’t mean that the decision to believe is entirely uninformed…. or that a journey toward faith will be dissatisfying for a scientist used to dealing with facts and probabilities. iggy re evidence. If we are to investigate the existence and activity of a person from a few thousand years ago, or a shroud claimed to be from that time, we inevitably must take a scientific/historical approach. Consider the evidence objectively and come to interim conclusions with all the provisos. That is a scientific not a religious process. Now, we could invent stories, repeat myths, etc., because they satisfy us. But this religious approach doesn’t contribute in any way to our real knowledge. A problem arises when we combine the two approaches. When we use faith, bias or prejudice to inform us rather than evidence. This is the problem with any religious investigation of an individual, her activity, or indeed objective facts like how the universe was formed, how life originated, how different species arose, etc. The scientific method must work to reduce the influence of such bias and subjective wishes in understanding reality. It is, of course, possible, probably inevitable, that we can hold completely conflicting ideas at the same time. But we should be very careful to resist the pressure to use one to justify the other. These leads to the sort of problems PZ Myers outlines in his presentation.